This video is blocked in almost every country. Watch it before it is blocked here. us almost every day in most parts of the Western world, and on how they got there. 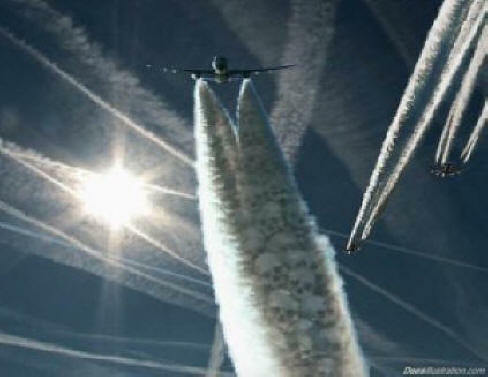 Chemtrails Exposed: A New Manhattan Project. 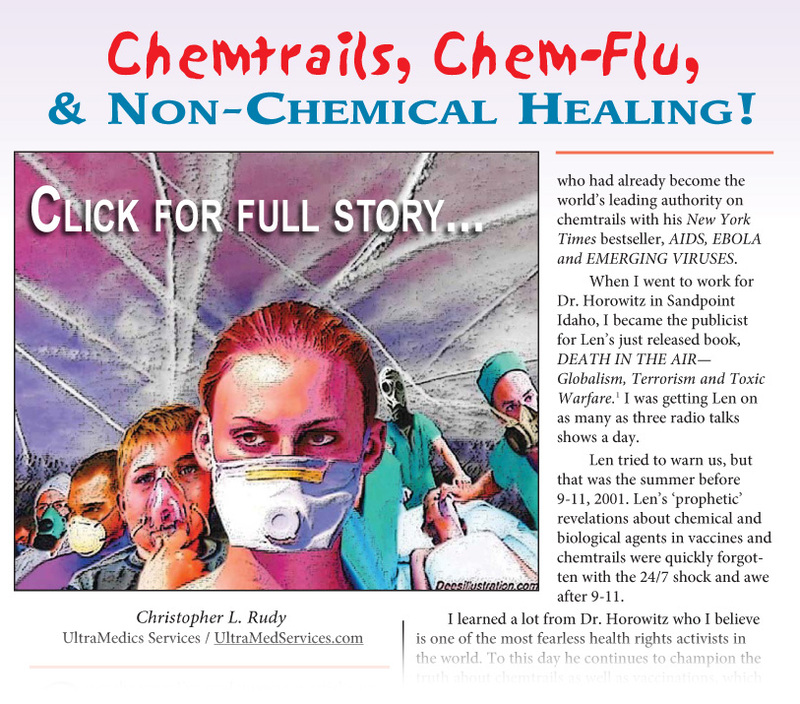 showcasing concerns about chemical clouds, geoengineering and 'Death In The Air'. You might be shocked to know. and saying yeah, I'll breathe zinc cadmium sulfide with radioactive particles,"
the particles were distributed from 1953-1954 and 1963-1965. Continued HERE. This is it! The long-awaited follow-up documentary about chemical aerosols is here. We are being sprayed with toxic substances without our consent and the ostensible reason for this is a rapidly developing industry called geo-engineering, driven by scientists, corporations, and governments intent on changing global climate, controlling the weather, and altering the chemical composition of soil and water... all supposedly for the betterment of mankind. Although officials insist that these programs are only in the discussion phase, evidence is abundant that they have been underway since about 1990 - and the effect has been devastating to crops, wildlife, and human health. And to add insult to injury, they are lying to us about it. Don't watch this video if you have high blood pressure. although outlawed in Russia and China. 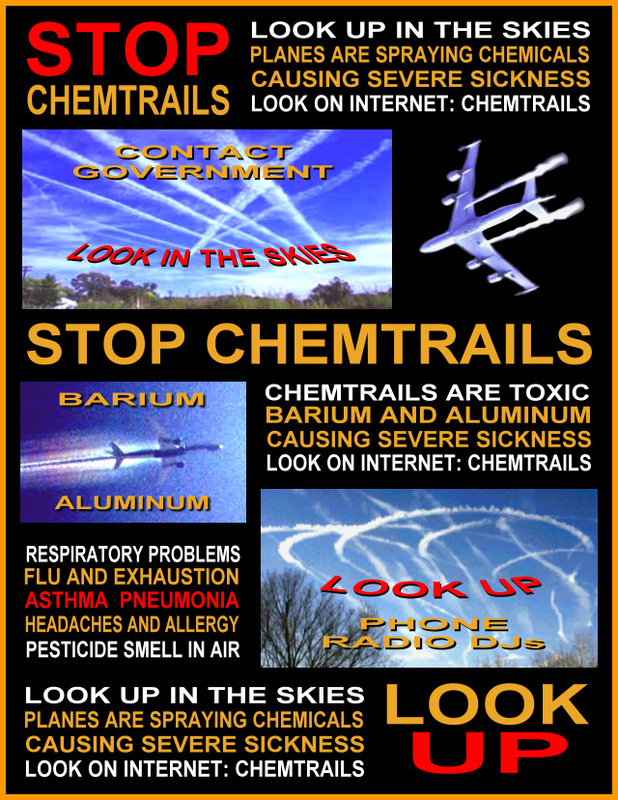 however chemtrails behave differently than contrails. and large-scale intervention in Earth's climatic system. while Acknowledging it's catastrophic effects: Article HERE. chemtrails while serving her country. 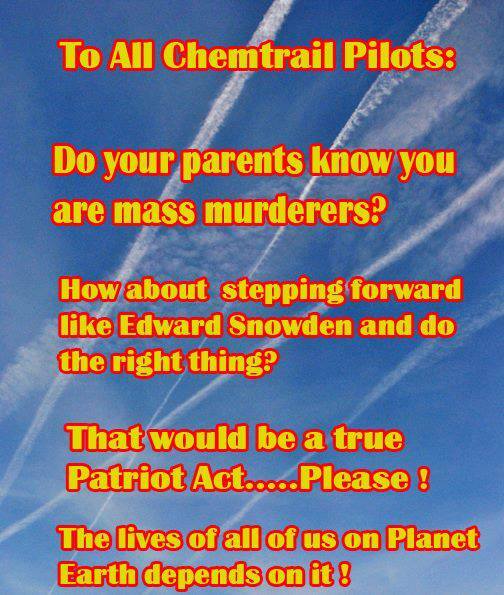 This brave young lady has put her livelihood / life on the line for U.S.
valid information about chemtrails to as many people as you can! why they are spraying the world. cooperation, and heart intelligent action to prevent further harm. How? http://wp.me/pR2D2-oF and share this information widely.